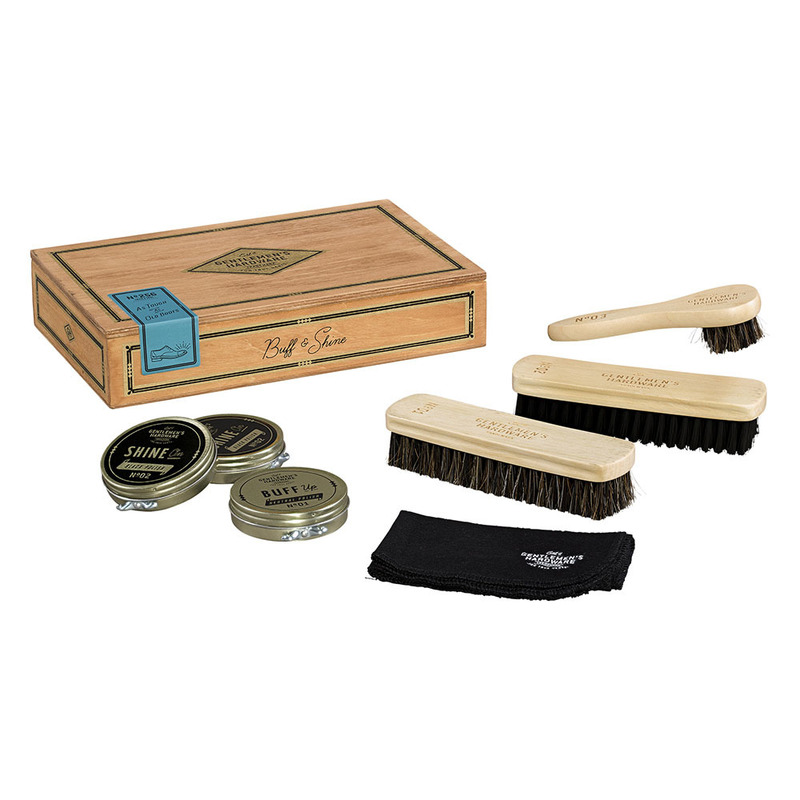 Make sure your loafers, oxfords and brogues are in tip-top shape with this shoe shine kit from Gentlemen's Hardware. 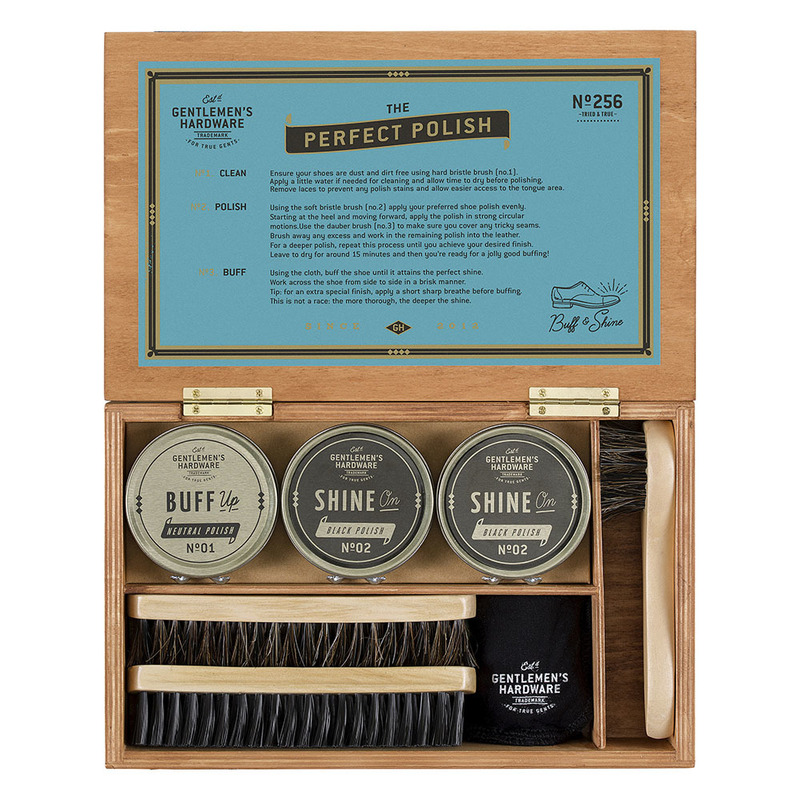 With two black polishes, 1 neutral polish, 1 dauber brush, 2 brushes (1 hard 1 soft) and cloth, you'll never have a shoe out of shine. 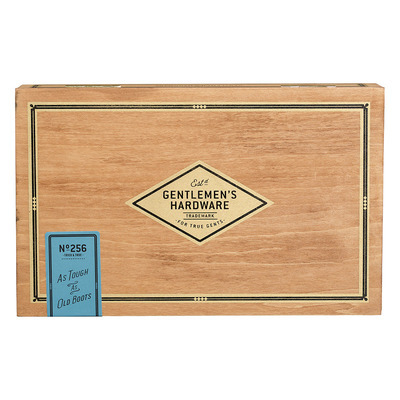 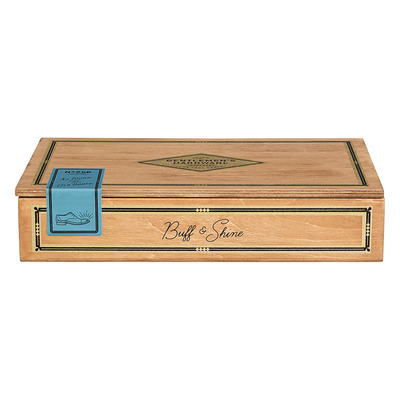 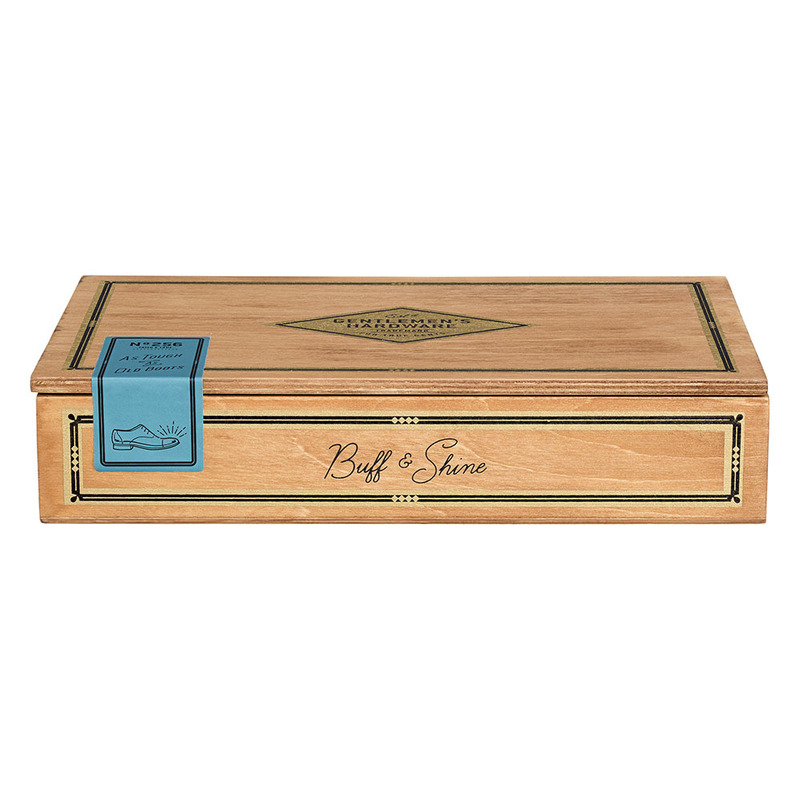 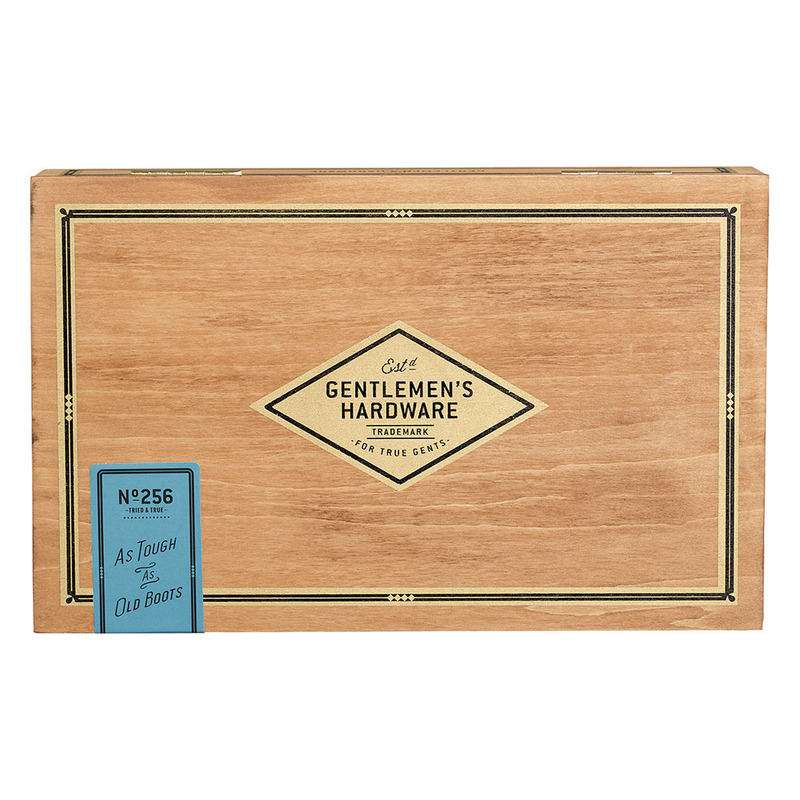 Beautifully packaged in a cigar style wooden box.